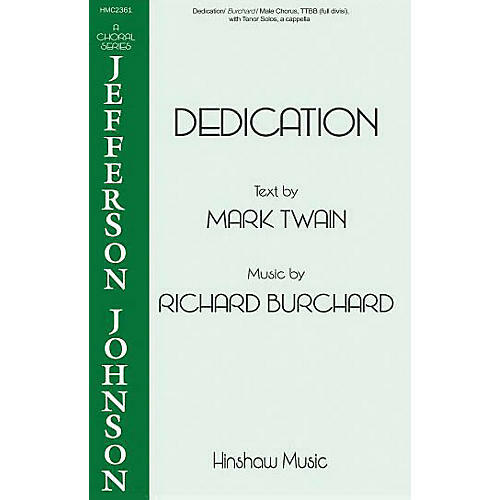 Richard Burchard's Dedication in the Jefferson Johnson Choral Series is scored for advanced and unaccompanied male chorus (TTBB divisi). For mature college/university or community choruses. Difficulty Level: Medium Adult.